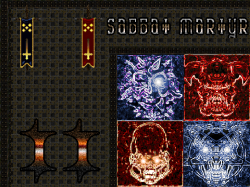 Sabbat Martyr II was a large community project that was orchestrated and lead by me. 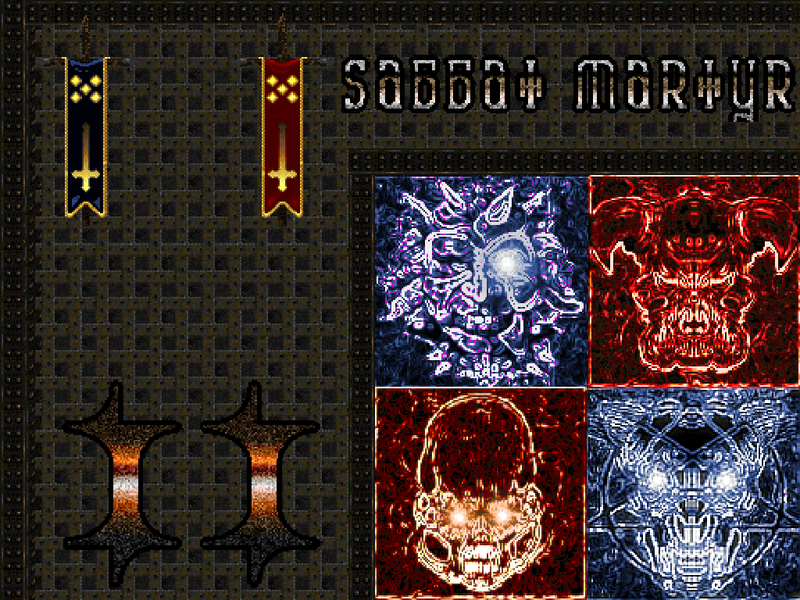 It was to be the sequel to Sabbat Martyr DeathMatch that I successfully released earlier in 2007 for Skulltag. 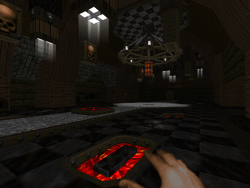 The project was on a fairly massive scale; it was going to have maps for the standard games modes such as DM, Duel, CTF, Invasion, and Skulltag. There were also brand new gamemodes that were going to be in the project such as Overload, Harvester, and Bomb Crisis. There were plans for an entirely new set of weapon sprites, new skins, new sounds, many new map objects, a new blood and gore system, a hi-res graphic replacement set, and many other new things and features. The project began shortly after SMDM’s release, much earlier than I had originally planned. I wasn’t able to do much mapping for the project while it was in development. Managing the project, the resources, making new graphics, fixing bugs, and discussing new features with the team took up pretty much all of my time. I was able to finish a CTF map that was based off of Clawfist and I also started on a sequel to SMDM01 Rozencratz which was going to be an Invasion map (sadly this map is lost to time). Around the middle of the development cycle, I started another project – IGPack. I stopped working on SMII from that point on and focused on IGPack primarily. Interest in SMII was waning considerably, and I was afraid that the project’s mass would be the end of it. Finally in September of 2008, I made the official announcement that SMII had been canceled. Many of the maps that were in SMII at the time were cut up and used in other projects such as IGPack, PKST 2, Kuchi’s CTF II, and likely a couple other projects. Most of the other resources haven’t been released as I may use them for future projects. What killed SMII? I think back on that question every now and again. There is no one thing that killed off the project, but rather a number of things. The project’s scope was entirely too massive; SMDM focused only on deathmatch and it did well. We had plans for maps spread across 8 different gamemodes, 3 of which were custom gamemodes. This fostered the idea of quantity-over-quality and it also pushed the development cycle into oblivion. Also, most of the features and decisions on what exactly was going to be in the project were made on-the-fly instead of at the start of the project. I didn’t have a clear set of goals at the beginning, so no one really knew what was planned and what to shoot for. This contributed to the large mass of the project, and the unclear sense of direction made working for the project a nightmare. Towards the end of the project’s development, I had started losing faith and interest, so I started IGPack as a diversion. When I left SMII to work on IGPack, the lack of leadership and regular updates from me slowed down the interest in the project to a crawl. When I eventually came back, only a couple of people were actively working on SMII. In order for me to continue, I would have had to basically start the project over from scratch. By this point, I thought it was best to just end the project and work on bigger and better things. I may one day resurrect the Sabbat Martyr namesake in the form of a personal project. Whether or not it’ll be tied to Skulltag is unknown to me. 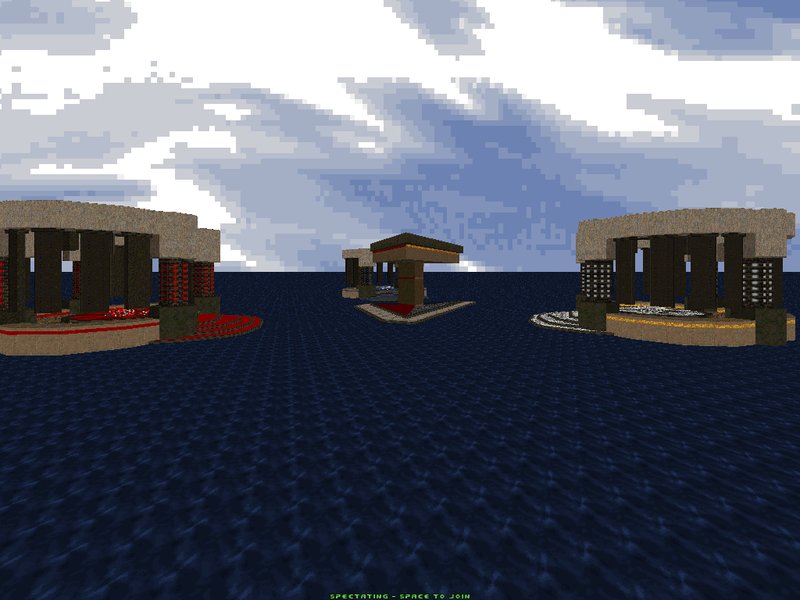 But I’d like to sit down and make a set of deathmatch maps with a nice resource set at some point in the future.